E-Data Now is a cloud-based platform designed for audit management, helping to resolve issues from the manufacturing floor and field environment. Advanced centralized audit scheduling tools helps to set and assign audit tasks for each user, and quality checking and validation management tools feature built-in work instructions with the sign off records of employees. E-Data Now provides alerts on quality, helps calculate the cost of quality tracking for failures, rejects and downtime, and tracks audit performance accurately. E-Data Now has an agile and configurable system which helps tackle a wide range of audits including layer process audits, customer complaint investigations, PPAP validation, factory audits, material certifications, compliance audits, 5S and more. It provides templates for all these types of audits that are ready to use. The audits are mostly based on a value-based pass-fail questionnaire, images captured through camera, a control chart, value in open text or numeric, tolerance ratio, severity, value comparison and verification of parts through reference images. The authentication of audits is signature based. Through instant email notifications, E-Data Now ensures quality and production audit data including downtime, corrective measures, SPC exceedances, quality alerts or work instructions are not lost. This helps prevent or resolve a small issue before it turns into a major problem, recall or customer issue. E-Data Now helps users gain access to critical reports including R-charts, Instant I-charts, X-charts and top 5 failures. It ultimately ensures that a production facility is ISO compliant and totally ready for an audit. Contact E-Data Now for pricing information. 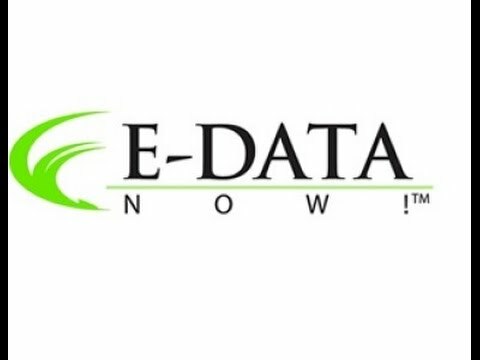 • E-Data Now was born and tested on the shop floor. We strive to develop turnkey mobile tools to integrate people and technology to track, monitor and communicate data and activities in real time from the shop floor to the front office. • E-Data Now instantly identifies a non-conformance issue and allows users to take pictures and send them in real-time to the supplier, quality, engineering or to the customer. • Multi-layered plans for corrective actions can be created on the app along with follow up verifications to validate completion and effectiveness. • E-Data Now users can also conduct offline audits and is an eco-friendly alternative to traditional audits where too much paper is used. • The platform creates custom, daily and weekly customer reports, charting and statistics based on a part number, defect or a serial number. Below are some frequently asked questions for E-Data Now Audit Management. Q. What type of pricing plans does E-Data Now Audit Management offer? Q. Who are the typical users of E-Data Now Audit Management? Q. What languages does E-Data Now Audit Management support? Q. Does E-Data Now Audit Management support mobile devices? Q. Does E-Data Now Audit Management offer an API? No, E-Data Now Audit Management does not have an API available. Q. What other apps does E-Data Now Audit Management integrate with? Q. What level of support does E-Data Now Audit Management offer?